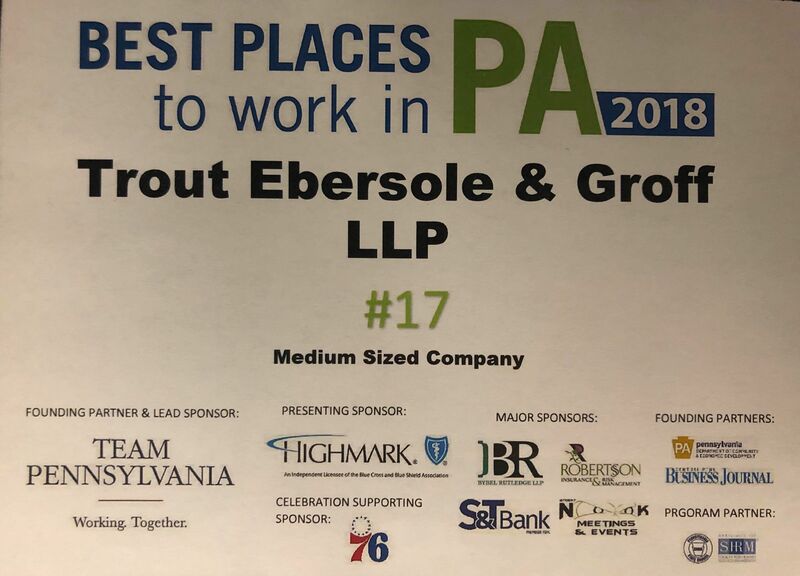 Trout, Ebersole & Groff, LLP was honored to earn the 17th spot for Best Places to Work in PA - Medium Sized Companies. 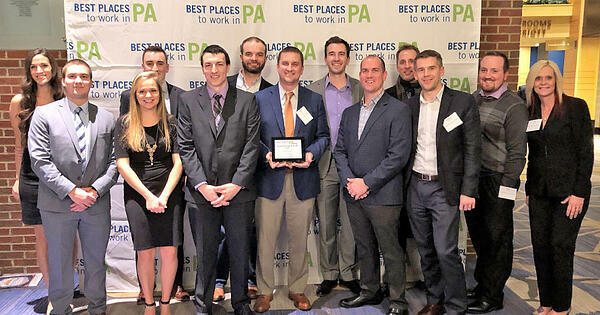 Best Places to Work is a survey and awards program designed to identify, recognize and honor the state's best employers. The program is a partnership between the PA Department of Community and Economic Development, the PA State Council of the Society for Human Resources Management, and the Central Penn Business Journal. Thank you to our amazing partners and professionals for everything they do to make TEG a great place to work!